This year’s nominations for the National Underwriter Industry Elite Awards were stronger than ever, a who’s who of the best and brightest in the realms of market innovation, industry awareness, community outreach and young talent. Our winners and honorable mentions this year stand out for their leadership, drive and brilliance that only the Industry Elites can offer.​ It was an especially difficult selection process as each and every entry stood with great merit. But alas, only one can be chosen. 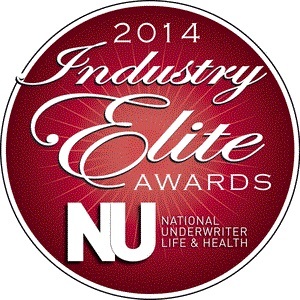 With that, we present to you the 2014 National Underwriter Industry Elite Awards. To read the full write up on the award, click here!